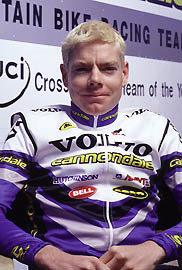 Cadel Evans is twenty two years old, he was born in Katherine NT, Australia. 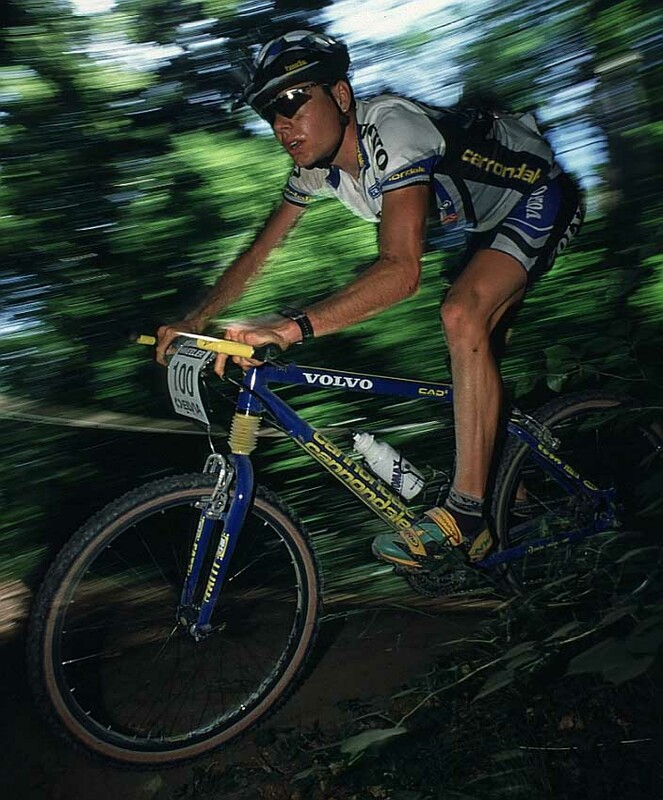 He has been racing professionally now for six years. His first professional experience was at age sixteen, where he was the youngest memeber on the Australian National Race Team, where he competed all over the world in various races. 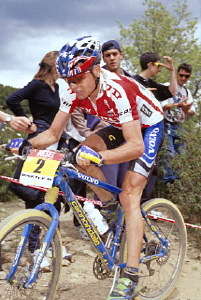 Currently, he is a member of the Volvo-Cannondale Race Team. 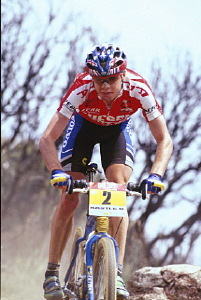 During the off season, Cadel resides in his home town in Australia, where he maintains his fitness level by training hard for the up and coming race season. Through March to late September, Cadel Resides in Switzerland. This way he is closer to many of the races, as most of them are held in various European countries. 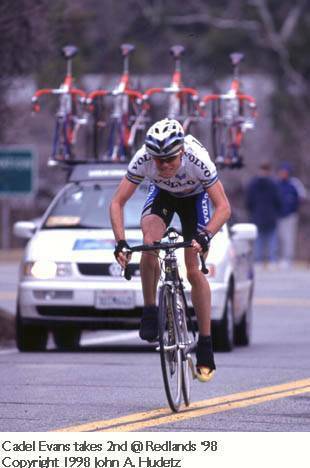 During the season, through March to September, he partakes in rigourous training programs whish help make him on eht emost fierce competitors in the sport of all time. 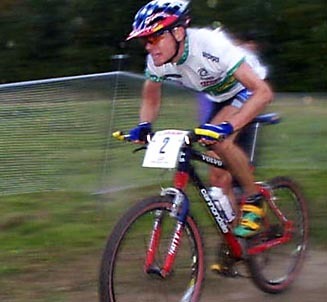 His first major race of his life was the nineteen ninety six summer games, in Atlanta, Georgia, wher he finished in a very respectful ninth place overall.